After much anticipation, the Switch YouTube app is now available for download. It’s free right now on the eShop and supports 360 videos and the system’s touchscreen. The Switch YouTube app uses the touchscreen in handheld mode although it’s not as fully featured as you might expect. You can search and navigate the app with the touchscreen but you can’t swipe up. For comparison, Hulu still has no touchscreen support. Its right Joy-Con doesn’t do anything in the app. Nintendo told The Verge that it will “continue to evaluate the best ways of using Nintendo’s hardware.” This could likely mean more intuitive touchscreen support along with some more control options. 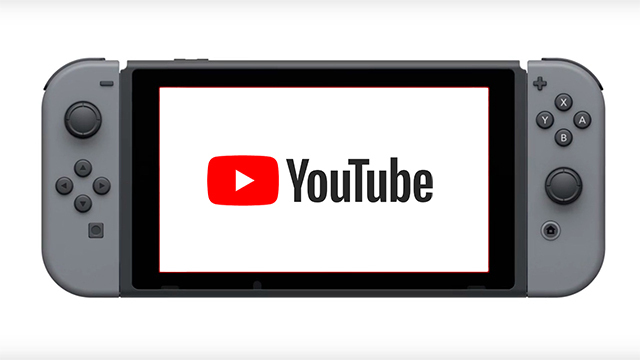 The Switch YouTube app is just one of the few video offerings the console currently has. Hulu came last November but the system is still waiting on Netflix, Amazon Prime Video, HBO, and more. Best Buy allegedly leaked in June 2018 before E3 that YouTube and Netflix were both coming to the system. However, Nintendo has not confirmed if Netflix is on its way to the platform. Netflix is available on the Wii U and 3DS. Nintendo COO Reggie Fils-Aimé told Bloomberg in June 2018 that the company is having “conversations” about adding other services for the platform. Nintendo’s relationship with video streaming has always been peculiar. The Wii initially required that users have a physical disc for Netflix before dropping that “feature” in 2010. It didn’t have many other streaming options outside of that Netflix. The Wii U had Netflix, Hulu, Amazon Prime Video, YouTube, and CrunchyRoll so it’s possible—and likely—that the Switch will receive these video services in one way or another.